In 2010, Zane Lovitt won the Sandra Harvey Award for Crime Fiction Short Story at the Ned Kelly Awards. That story went on to form part of a connected short-story anthology, The Midnight Promise, which won the Ned Kelly for best debut crime novel in 2013. With Black Teeth, a highly original, dark Australian crime novel, Lovitt is once again looking to be a strong contender for the Neds. Black Teeth has an intriguing cold open. Rudy Alamein is trying to purchase life insurance. He is intending to kill someone and does not expect to survive the experience. When he dies he wants the insurance money to go to his only friend. The insurance agent takes this all in and promises to help as he knew Rudy’s father in prison. Only nothing about this conversation is quite what it seems. Cut to narrator Jason Ginaff, a loner who spends his life online and is hired by big firms to do checks on the social media history of potential employees. Jason has anxiety issues and a range of aliases to protect himself from perceived threats. He is also trying to track down his biological father, a retired policeman who was involved in the case that put Alamein’s father in jail. Once involved he unwillingly sets out to learn the truth about the death of Rudy’s mother. In the great tradition of noir crime, every character in Black Teeth is out for themselves but all have a vulnerable spot. They are all unlikeable but in a fascinating way that is hard to turn away from. Jason, as narrator for the most part is the best drawn. Still affected by the death of his mother, socially awkward, dealing with anxiety issues and paranoia, searching for acceptance. But the others, particularly the damaged Rudy Alamein who for all his faults is the most impacted by events over which he had and still has no control. But there is also a dark humour lurking in many of the descriptions and the dialogue. The cold open pays off as does the twisted ending, which practically forces a reread of key scenes even if you were paying close attention and defies the usual conventions of the murder mystery genre. 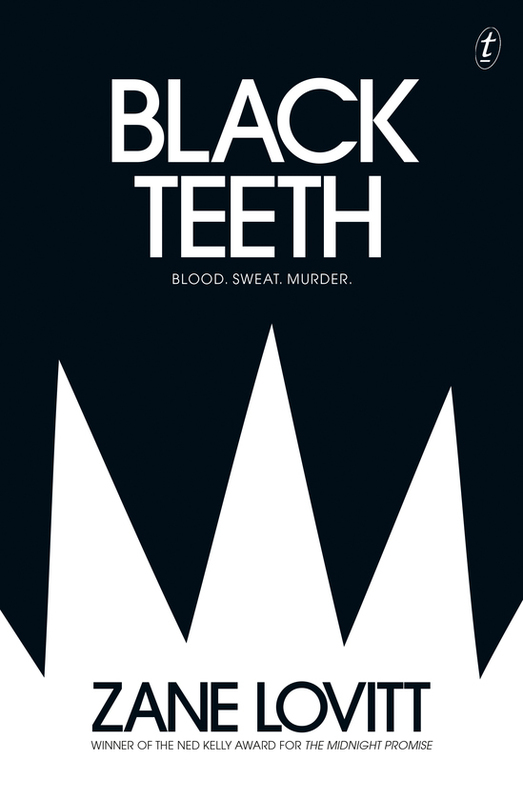 There is a murder mystery at the heart of Black Teeth but there are no drawing room confessions in Lovitt’s world, just a bunch of grifters and their marks all trying to manipulate each other for their own self-justified ends. With Black Teeth, Zane Lovitt has delivered a classic, dark Australian crime thriller.